Brendan Davies: In The Long Run: Barefootinc has a new showroom! Barefootinc has a new showroom! 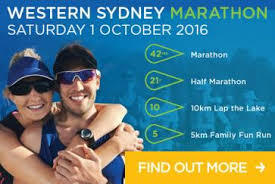 Barefootinc are an Australian owned and run company and are the distributors of many great brands such as FiveFingers, UltrAspire and of course Inov-8. Their mission is simple; to help people reach their maximum potential for good health and a strong body - naturally. They believe in products that enhance training comfort and performance without compromising our natural movement. In short; they know what they believe in and they put it in practise very well! Some may call this a 'minimalist' outlook, but to me, stripping running back to it's most natural state is the only philosophy I will ever subscribe to and endorse in my own coaching. I've been fortunate to have a relationship with Barefootinc for many years now, and they were instrumental in my early trail running career. 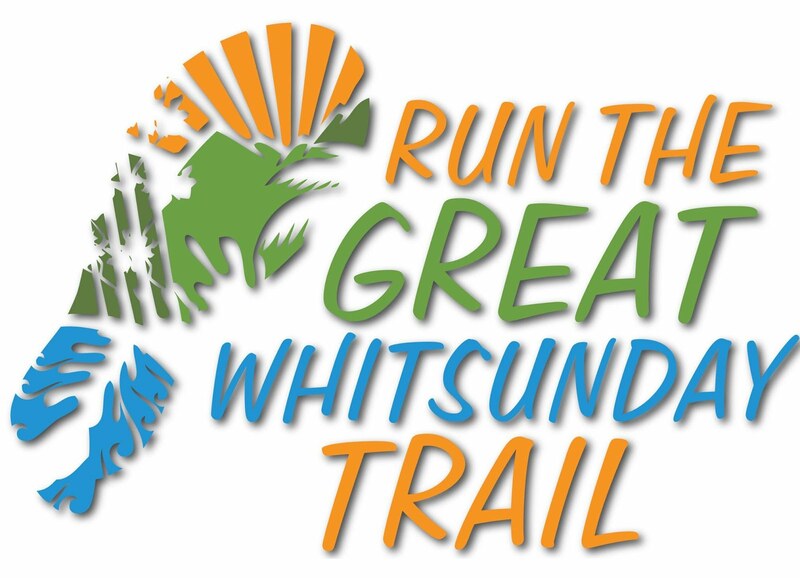 Although they are a small company, they do an amazing job at the grass roots level; sponsoring many other athletes and events across a range of disciplines including road running, cross fit and obstacle course racing. But of course their heart and soul lies on the trails! So it was exciting when I saw they were opening up a brand new showroom in Waterloo in Sydney to accompany their online store. In a time when online only shops and overseas sales threaten the existence of shopfronts it's great to see a company stand behind what they believe and give runners the opportunity to come in, try on the products, seek the advice and walk away with a smile. A couple of weeks ago I got to check out the new digs and it's looking great. There are plans for a treadmill so you can try on your shoes and a small crossfit 'box' for athletes to do some small plyometric drills. And now the good news! Anyone that purchases any products from the showroom will receive a 15% discount, simply by saying that I recommended Barefootinc! 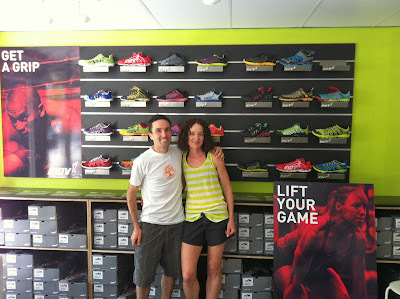 With Sally and the amazing display of Inov-8s in the new showroom! Great! Now I don't need to go far for getting my favorite brand.I know,Your showroom always comes with the best crossfit shoes . And therefore, I always prefer your showroom rather than going elsewhere.